Sink is created for small online eCommerce business. It have very modern minimalist design which will focus your products and its variations, and our build in functionality will gives your user a very high user experience with mobile and all major devices support. 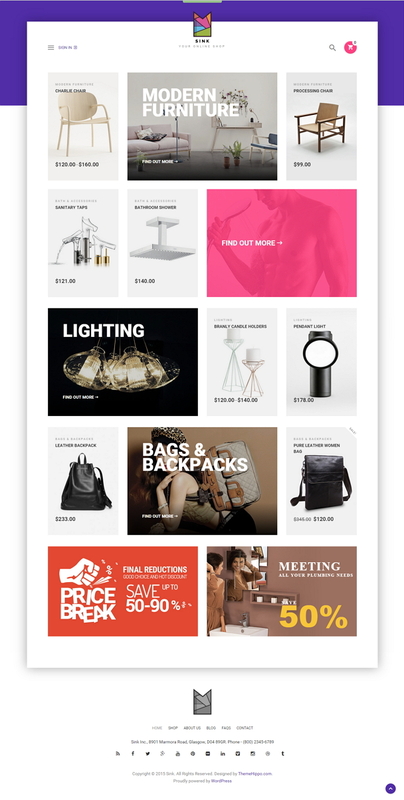 Sink is totally powered by WooCommerce, the most popular e-Commerce platform for WordPress. 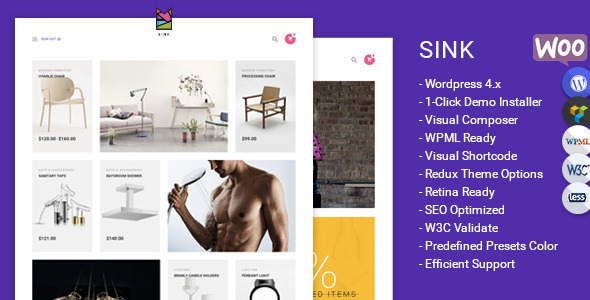 Item Reviewed: Sink Minimal WooCommerce WordPress Theme 9 out of 10 based on 10 ratings. 9 user reviews.